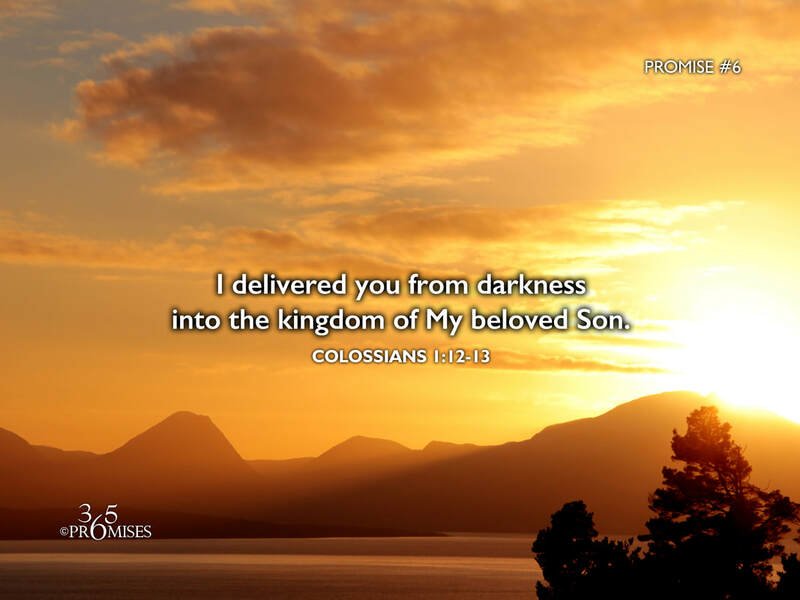 I delivered you from darkness into the kingdom of My beloved Son. Each one of us were once held captive by the power of darkness before we were set free by the power of Christ and brought into His kingdom. For all who have said 'yes' to Jesus, our old life is now in the past tense and our new life in Christ is our present reality... Whether we feel like it is or not. May the Holy Spirit give us revelation today to know that we have already been translated into the kingdom of our Elder Brother. The power of darkness has no more hold on us because of our royal position in Christ. We now live in an upside down kingdom, where the last will be first, the weak will be strong, and the poor will inherit the riches of our Father's kingdom. I pray that every believer will echo the prayer that Paul prayed in Ephesians that our God and Father would give us the spirit of wisdom and revelation to know Him better. May the eyes of our hearts would be opened so that we could really see the hope of His calling and our glorious inheritance in the saints!